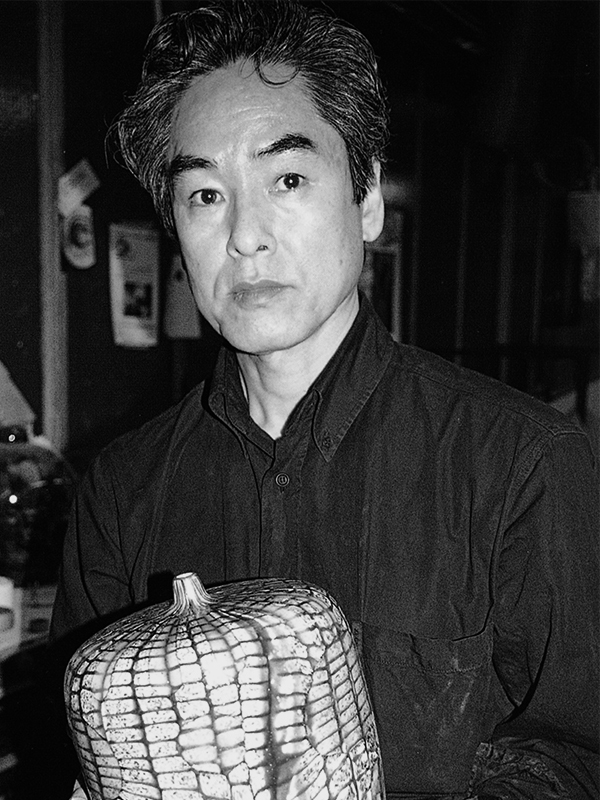 Japanese-born Yoichi Ohira’s distinctive stylistic blend inspired by the natural beauty of Japan and traditional Italian glass techniques brands him a major contributor to the narrative of 20th century glass design. In 1969, Ohira graduated from the Kuwasawa Design School in Tokyo and completed an apprenticeship in glassblowing at the Kagami Crystal Company, Ltd. Shortly thereafter, he began working in the fashion industry which directly influenced the balance, elegant shape, and multicolored decorative schemes of his work. From 1973–1978, while studying at the Venice Academy of Fine Arts, his love and talent for Murano glass grew earning him high honors for his thesis The Aesthetics of Glass. In the late 1980s, Ohira began collaborating with Murano master glassmakers and was awarded the Premio Selezione of the Premio Murano in 1987. Ohira’s work is present in the world’s major collections including The Metropolitan Museum of Art New York, Cooper Hewitt, Smithsonian Design Museum New York, and the Museum of Fine Arts Boston. He has been exhibited internationally including the Correr Museum in Venice, the Musée des Arts Décoratifs in Paris, and Barry Friedman Gallery in New York. Yoichi Ohira lives and works in Tokyo.